Qigong (Chi Kung), widely known for its healing effects and spiritual empowerment, combines movement, meditation, and breathing to regulate and enhance the flow of the body’s vital energy, improve blood circulation, strengthen the immune system, and calm the mind. Its primary goal is to achieve better health, promote healing for self and others or life preservation. Its highest goal is to realize the spiritual enlightenment or immortality and achieve the “complete emancipation of body and mind”. Heavenly Essence Qigong® (HEQ) is the main part of Qi Dragon® Life Preservation and Dao Cultivation Training Program, a training program for carrying on Grandmaster Zhang’s authentic teachings that covers many different aspects of Qigong including the mind training, breath training, a full range of Te Yi Medical Qigong training and a unique Internal Alchemy (Nei Dan ) training refined and simplified from many traditional Buddhist and Daoist essential practices. It is one of the most comprehensive Qigong training programs available. Heavenly Essence Qigong® was developed by Grandmaster Zhang in 1987 in China and brought to the west by Master Liping Zhu. It integrates the essence of the Daoist Qigong, Medical Qigong, Buddhist Qigong, Martial Qigong and Confucian Qigong and is one of the most comprehensive Qigong systems available. It is well known for its powerful healing effects, comprehensive theories, easy-to-follow practices, successful life science experiments and enlightening spiritual cultivation methods. 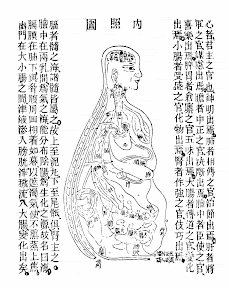 The system reveals some of the most esoteric Qigong cultivation methods through its easy-to-understand modern language and techniques and makes the orthodox traditions accessible to the general public. Heavenly Essence Qigong emphasizes In-the-world Cultivation Methods (入世修炼法) and inspires the dual cultivation of both the body and the mind (性命双修). Through the progressive formal study of the system students will learn how to expel sick Qi, nourish good Qi, project External Qi with dynamic Qigong exercises and perform Qi healing on self and on others with the Te Yi (Special Medicine) or Medical Qigong healing methods. 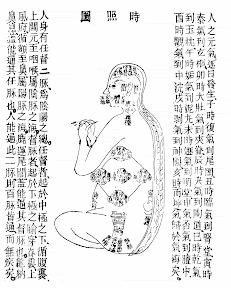 The complete system also includes teachings on Daoist alchemical practices of Microcosmic Orbit (Xiao Zhou Tian), Macrocosmic Orbit (Da Zhou Tian), Embryonic Breathing (Tai Xi), Internal Elixir (Nei Dan) and Spiritual Enlightenment Meditation Methods. Heavenly Essence Qigong® is one of the few Qigong training programs available that offers the thorough training of this most comprehensive and advanced Qigong system outside China. This systematic and advanced study of Heavenly Essence Qigong provides a rare opportunity to receive profound healing and authentic teachings. Qi Dragon® Qigong Programs are different training programs for studying the life science through Qi Dragon’s different lineages but mainly through Grandmaster Zhang’s Heavenly Essence Qigong lineage. Heavenly Essence Qigong (HEQ) is a comprehensive Qigong system that covers many different aspects of Qigong such as the mind training, body training, breath training, a full range of Te Yi Medical Qigong training and a unique Internal Alchemy or Nei Dan training that are distilled from the traditional Buddhist, Daoist, Martial, Medical Qigong schools. Heavenly Essence Qigong Formal Study Program: This program entails the full formal instructional courses of Heavenly Essence Qigong system Level 1-4 and its advanced teachings beyond levels. It is the progressive and complete study of this particular Qigong lineage from its beginning level, intermediate levels to its advanced levels. Heavenly Essence Qigong Certificate of Completion Program: This program is the intensive and comprehensive practice and study of the Qigong Formal Study Program Level 1 & Level 2. 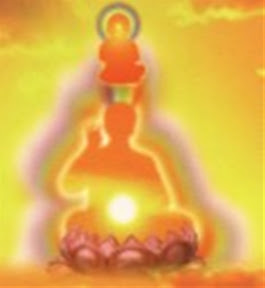 It is offered as a 9-day residential retreat for each level for the optimal immersion and healing experience. This program alone does not certify a student to teach. The Certificate of Completion Program is the prerequisite training for the Certified Qigong Instructor Program and Certified Te Yi Medical Qigong Practitioner Program. Qi Dragon Certified Qigong Instructor Program: This program gives the specific training on how to teach and certifies one to teach our Level 1 Part I, Part II and Part III Formal Study Program. The prerequisite for this training is the Level 1&2 Certificate Program and Level 3&4 Formal Study Program. Qi Dragon Te Yi Medical Qigong Certification Program: This program certifies a student in Te Yi Medical Qigong professional practice. The prerequisite for this training is the Level 1&2 Certificate Program with the certificate of completion received. Please check Class Schedule Pages periodically for an updated list of Qigong teachings or join our Newsletter to receive monthly updates. Find out our Class Schedule by month or by subject. CEU Credits: Our programs are open to the general public as well as health-care professionals as licensed acupuncturists for their continued education. 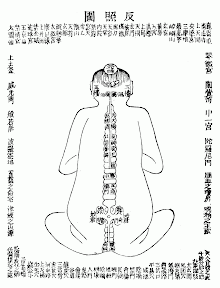 For a licensed acupuncturist, you need to make sure that the course is specifically listed as an approved CEU course. Upon approval, most of our Qigong for Health and Level 1-3 Qigong Formal Study Program and Level 1&2 Certificate Program workshops have CEU credits in Category I for Licensed Acupuncturists. Please check each workshop description to verify CEU availability and hours. All our programs are subject to change without notice. Please follow our website for the most updated information. Heavenly Essence Qigong Institute is a California granted 501 (c) (3) non-profit organization with a mission of preserving the original teachings of the Heavenly Essence Qigong lineage developed by Grandmaster Zhang, creating a community of health and spiritual awareness and wellness, reviving ancient Chinese culture, providing education on Heavenly Essence Qigong for life preservation and Te Yi Medical Qigong for healing . Our initial stage of work is to translate many volumes of books used as the textbooks for different levels of students in training. Please support us in our vision of benefiting the world. Your donation is tax deductible to the full extent of the law. To make a donation, you can either send a check to Heavenly Essence Qigong Institute, 2831 E St, Eureka, CA95501 or use the Paypal button below. Heavenly Essence Qigong is not related to Essence Qigong. Xiaoping Critchlow Lu, who registered ‘Essence Qigong Association’, is the trademark (U.S. Registration No. 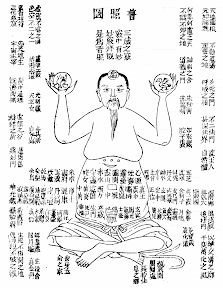 4478674) holder of ‘Essence Qigong’. Qi Dragon Healing Center, registered by Master Liping Zhu, is the trademark holder of ‘Heavenly Essence Qigong’. 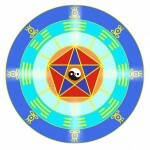 Essence Qigong Association is not related to or affiliated with Qi Dragon Healing Center.